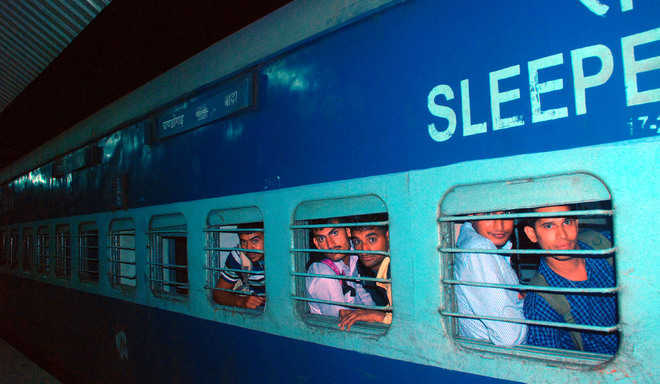 Disappearance of 10 BSF jawans from a special train heading for Jammu is a case of French leave taken by the jawans, a BSF spokesperson here said.Personnel from the 83rd battalion of the BSF boarded the special train on Tuesday from a station in Murshidabad district of West Bengal. Their absence was first noticed at the Mughalsarai junction on Wednesday evening. The jawans found absent are believed to have disappeared from the train between Bardhaman station of West Bengal and Dhanbad in Jharkhand.“In all likelihood the jawans are from the Jharkhand area and they went to their respective homes,” RP Jaswal, DIG, posted in the BSF’s South Bengal Frontier Headquarters here, said.Special trains meant for security forces take a long time to reach their destinations. The 10 BSF jawans who disembarked en route are expected to reach Jammu on their own and report for duty. However, they will face disciplinary action for their unauthorised absence.A complaint has been filed with the Government Railway Police in Mughalsarai station, known now as Deen Dayal Upadhyaya Nagar railway station, saying the jawans have gone “absent without leave”.Filing police complaint under such circumstances is routine, the DIG said. In what will change the terms of employment and pension eligibility criteria for lakhs of jawans, a new proposal has been mooted by the personnel section of the Army which requires jawans to put in more number of years into service and also a change in pension rules.The proposal for change is for all infantry units and they have been asked to give their opinion by June 30, says an internal letter, a copy of which is with The Tribune.The move comes after the OROP was granted in September 2015. It led to a spike in the number of troops seeking premature retirement. In 2017, 17,438 jawans sought premature retirement. This is nearly double of the 9,296 jawans, who sought the same in 2015.The Army suggestion says the minimum qualifying service for pension be raised from 15 years to 20 years of service. At present jawans retire between ages 35-37 and they can seek premature retirement after 15 years of service. Their ‘term’ is deemed to be completed after 17 years of service.The letter says “due to improvement in life expectancy, an additional five years service spent till approximately 40 years of age may reduce the pension liability manifold”. Another model suggested is to ‘disincentive premature retirement’ which talks about graded pensions. Plan A: The minimum qualifying service for pension be raised from 15 years to 20 years of service. At present, jawans retire between age 35-37 and they can seek premature retirement after 15 years of service. Plan B: Give 75% of pension to those who put in 15-17 years of service; 85% to those serving for 17-20 years and 100% to those serving for more than 20 years. At present, the last pay drawn is calculated for OROP. The wife of an Indian Army Major was found dead on Saturday with her throat slit on a street at Brar Square in south-west Delhi, close to the cantonment area, the police said. The 30-year-old woman had left home in the morning for a physiotherapy session at the base hospital in Delhi Cantonment, the police said, adding she was found dead half-an-hour later. An official vehicle assigned to the Major dropped her outside the hospital. When the driver went to pick her up, he was told that the woman had not turned up for the physiotherapy session on Saturday, the police said. The police got a call from passers-by about a body on the road. When they went to the spot, they found the woman’s throat had been slit. The Major was also immediately informed, the police said. Her body had marks that appear to have been caused by being run over by a vehicle. The police suspect she could have been murdered first and then run over by the killer, as she was last seen taking a lift in another car from outside the hospital after she was dropped by the driver, the police said. “We received a call for an accident but later found injuries on her neck. We are registering a murder case. We have solid clues about the accused. Her husband identified her,” senior police Vijay Kumar said. The body has been sent for a post-mortem. The police said they are analysing calls made from and received in her mobile phone. A day after his recommendation, Governor NN Vohra on Wednesday issued a proclamation imposing Governor’s rule in the state under Section 92 of the Constitution of Jammu and Kashmir, following President Ram Nath Kovind’s approval.The Governor had sent the recommendation after the PDP-BJP coalition government collapsed in the state with the BJP pulling out. That was followed by Chief Minister Mehbooba Mufti, submitting her resignation.Editorial: An unmourned alliance exitsBefore the recommendations, Governor Vohra consulted leaders of all major political parties to find out possibilities of an “alternative alliances”. This is the third time that J&K has been brought under Governor’s rule under NN Vohra since January 2015, following the Assembly elections held in November-December 2014, when no party got a clear majority in the 87-member House. The PDP with 28 and BJP with 25 seats formed a coalition government led by Mufti Mohammad Sayeed on March 1, 2015. The state came under Governor’s rule from January 9 to March 1, 2015. It was again imposed following the death of Mufti Sayeed on January 7, 2016, when Mehbooba Mufti refused to take over. She finally took oath on April 4. Earlier, Governor’s rule under Vohra was imposed from July 11, 2008, to January 5, 2009, after the Congress-PDP coalition collapsed. Meanwhile, 1987-batch Chhattisgarh-cadre IAS officer BVR Subrahmanyam has been appointed as the new state Chief Secretary in place of BB Vyas, who has been appointed adviser to Governor Vohra. Former IPS officer Vijay Kumar will be another adviser.Subrahmanyam, considered an expert in internal security matters, served as private secretary to former PM Manmohan Singh during 2004-2008. He worked with the World Bank from 2008 to 2011 before again joining the Manmohan PMO in 2012. He was in the PMO after Narendra Modi became the PM in 2014 and stayed till March 2015. Vyas was given a year’s extension last month. Due to superannuate in November 2017, he was given two extensions till May-end to remain Chief Secretary. Continuing with his tour in the Valley, Lt Gen Ranbir Singh, GOC-in-C of Northern Command, on Friday visited the Army formations and units deployed in north Kashmir, where he was briefed on the prevailing security situation.During the visit, he was accompanied by the GOC of Srinagar-based Chinar Corps Lt Gen AK Bhat. Northern Command chief Lt Gen Ranbir Singh called on Governor NN Vohra at Raj Bhawan here on Friday.He briefed the Governor about the prevailing situation along the frontiers of J&K and the issues relating to security management in the hinterland in the Kashmir and Jammu regions. 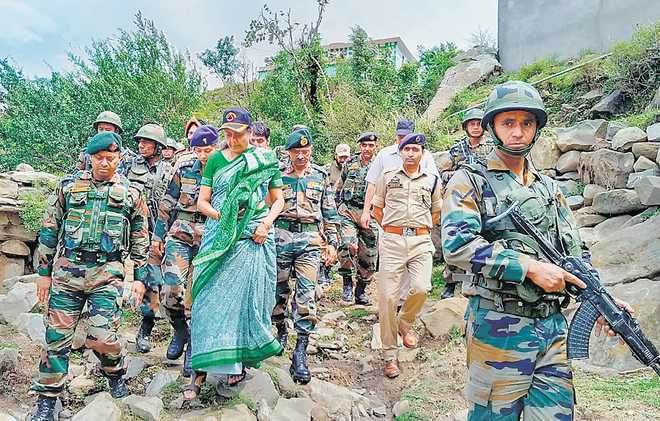 The Governor discussed with him certain concerns relating to the forthcoming Amarnath yatra.He also wished the Northern Command chief a successful tenure ahead. India and Pakistan have decided to go back to the 2003 unwritten announcement of the ceasefire at the Line of Control (LoC) and abide by it. The LoC between India and Pakistan and the International Border (IB) in Jammu & Kashmir are witnessing peace after a long time, although a major part was not afflicted by the ceasefire violations. The Siachen and Kargil sectors have been quiet for as long as one can remember in the last 15 years. The LoC in the Kashmir segment too, although continuing to witness efforts at infiltration, has seen only limited violations. It is primarily in the areas of the LoC and the IB south of the Pir Panjal range that exchanges of fire had become a norm and many reasons can be ascribed to that. With the guns now silent, there are still misgivings among many in India as there were in the case of the decision to bring about a Ramzan-based cessation of operations in the hinterland, now in place for a little over two weeks. Their perception has to be respected too because of historical backstabbing by Pakistan. Yet, a case for peace needs to be made and supported to ameliorate the privations of the border people in the Jammu region. It will also allow stabilisation of the hinterland to calm the environment and reduce the vitriol which is always associated with ongoing violence. There is need to examine the ceasefire and the cessation of operations in tandem with each other. The latter because of the latest very authoritative report by an intelligence agency which reveals that in the last three years, for every local terrorist neutralised in Kashmir, two have been produced through local recruitment from the vicinity of the area to which that terrorist belonged. The question most Indians are asking – how far and for how long can Pakistan be trusted, especially since the announcement by the two DGMOs of India and Pakistan makes no mention of Pakistan’s intent or otherwise of not allowing its territory to be used for targeting India?In as complex an issue as J&K and there is no gain trying to seek perfect solutions. There will be many imperfect proposals which will need to be progressively converted to workable and acceptable ones. The trust deficit with Pakistan is so huge that, perhaps, a couple of generations with prevailing normalcy will probably lead to any restoration. In this imperfect environment can India and Pakistan hope to restore some peace with steps such as implementation of ceasefire at the LoC and IB? If the 2003 ceasefire could partially succeed without any written agreement, can the latest be expected to last some time to allow peace initiatives to take shape?India needs to be clear that Pakistan’s initiative (as it is being reported) is not out of a newfound neighbourly love but borne out of compulsions. The compulsions are many; they include the upcoming Financial Action Task Force (FATF) review, grey-listing of Pakistan to see whether it has fulfilled obligations to prevent terror financing, the precarious condition of its economy which has forced devaluation of the Pakistan currency and borrowing of $1 billion from China to bolster its forex reserve which has fallen from $18 billion to $10.5 billion. Given its financial stress, Pakistan could not have sustained an escalated battle of attrition with India in LoC and IB exchanges. Yet, it had to display bravado at the IB as it did at the end. That could have backfired badly had India decided not to accept the ceasefire and in fact escalate the exchanges. Those monitoring Pakistan’s internal situation in the run-up to the elections in July 2018 would have sensed that ground was slowly being yielded. The Bajwa Doctrine was couched in vagueness to give the brokering for peace a semblance of dignity. 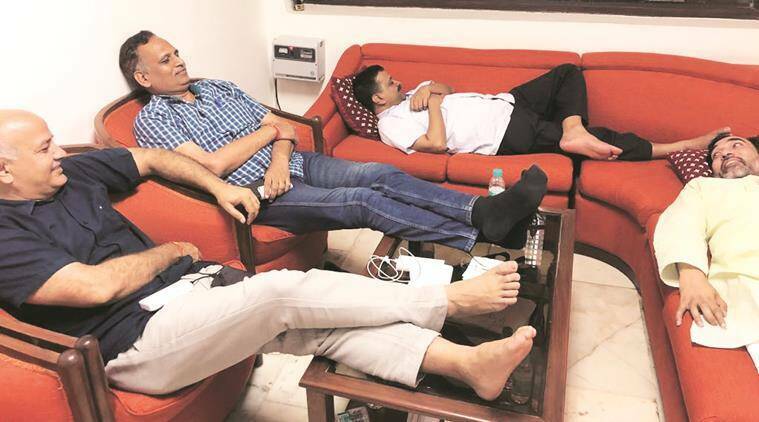 Back channel talks were in place and the suspended Neemrana Dialogue was brought to life. The National Security Advisers (NSAs) of both countries appear to have been in touch more than the reported number of times, and for good measure. The Indian decision on cessation of operations in the hinterland did not receive a battering in Pakistani strategic circles as is the practice for most internal initiatives. A ceasefire at the LoC was on the cards. Pakistan will want this to be converted into a serious political dialogue and its diplomacy will aim at projecting itself as the promoter and initiator of peace. However, with the bitter record of Pakistan’s past deceit, the Indian government would be at odds to reinitiate anything at the political level unless certain conditions are met; it will take a fair amount of time to create those conditions. First, Pakistan’s internal polity has to be outside the ambit of uncertainty; not before late July 2018 will that happen, if at all. Second, Pakistan has to come clean on its support to terrorism by demonstrating a will to curb India-focused terror related activities on its soil or in PoK. An indicator of any seriousness in this will be in the domain of infiltration. Third, it should display a will to bring to book those involved with the Mumbai terror attack of 26/11. This has become a sticking point, but with recent admissions of former Prime Minister Nawaz Sharif, it is a futile course which Pakistan has followed, defending the indefensible. India, as always, will be prepared to meet Pakistan more than half way provided there is sincerity displayed. Thus, any vision of an immediate commencement of dialogue can only be premature, but the build-up towards that direction can be ensured, provided J&K remains relatively free of violence. A workable start point is to hold DGMO talks with a proper agenda either in New Delhi or Islamabad. These should be used to flesh out the ceasefire and take it to mutually agreed rules of engagement and installation of such measures which will build confidence and trust. Lower-level communication links across the LoC in identified areas can help in putting a lid on potentially explosive situations through local contacts. However, given the history of mistrust, India should remain circumspect and continue all work at the LoC and IB to ameliorate the problems of the locally afflicted people. 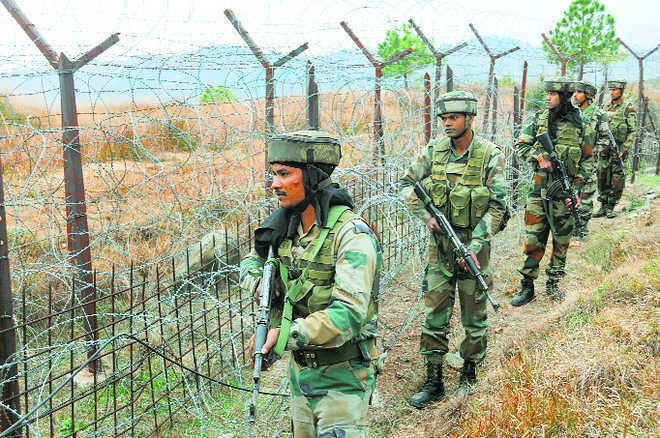 A constitutional body tasked with the welfare of border communities in conflict-ridden zones could be a way towards giving continuity to efforts. Construction of family bunkers was also undertaken in 2003, but the then ceasefire effectively led to the shelving of the project. National security cannot be mired in personal and political interests. Everything there has a long-term perspective, with little catering to a moment in time. Accusing the BJP government of playing politics on the blood of soldiers, the Congress on Thursday said the sacrifice of soldiers was a matter of pride, not politics.Reacting to the release of a video on the September 2016 surgical strikes on terrorist launch pads in Pakistan, the Congress said the “BJP was in a habit of using the valour of Army personnel for electoral benefits”.“Our forces have given a befitting reply to every challenge to India’s integrity, both internal and external. Decisive demolition of the terror infrastructure has been a hallmark of the untiring mettle of our armed forces. Conducting strategic ‘surgical strikes’ with utmost precision and effective penetration at different times in last two decades has been characteristic of the grit and determination of our forces,” Randeep Surjewala said, seeking to underscore the point that these strikes are not new.To drive home his point, Surjewala cited the following surgical strikes of the past – January 21, 2000 (Nadala Enclave across the Neelam River); September 18, 2003 (Baroh Sector, Poonch); June 19, 2008 (Bhattal Sector, Poonch); Aug 30 to September 1, 2011 (Sharda Sector, across Neelam River Valley in Kel); January 6, 2013 (Sawan Patra Checkpost); July 27, 28, 2013 (Nazapir Sector); August 6, 2013 (Neelam Valley); January 14, 2014 and September 28, 29 2016.The Congress said the BJP “shamelessly politicised the 2016 surgical strikes for the March 2017 Uttar Pradesh Assembly elections and went to the extent of organising “samman samaroh” of then Defence Minister Manohar Parrikar in Agra besides running a high voltage publicity campaign by pasting posters and hoardings giving credit of the strikes to the PM”.“BJP trashed every tradition of restraint by belligerent chest thumping to claim credit of surgical strike with an eye on political and electoral gain. BJP president Amit Shah went to the extent of claiming in October 2016 that the Army had crossed the LoC for the first time in 68 years,” Surjewala said, asking the BJP to restore benefits to Army personnel that it had cut over the past, including rations.Surjewala also drew attention of the BJP to the poor defence preparedness due to cuts in defence Budget allocations. 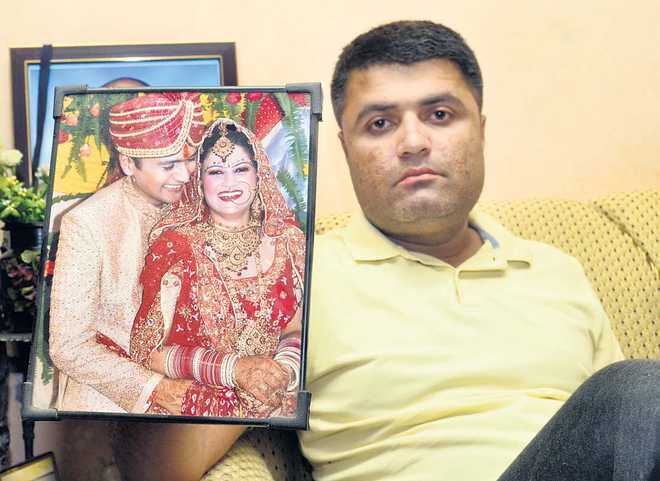 Major Nikhil Rai Handa, arrested for killing fellow officer Major Amit Dwivedi’s wife Shelja, had gifted her a phone and made 3,000 calls this year, show call records. In judicial custody for four days, Major Handa will be taken to Meerut to reconstruct the crime. The police have arrested his uncle and a cousin for “helping” him.In Amritsar, where Shelja was cremated on Monday, her brother Sukaran Kalia, a lawyer, said his sister “did not have an affair with Major Handa. He had been stalking her. Such claims by the police have hurt the family”.The Delhi Police have recovered the clothes Major Handa was wearing when he allegedly killed Shelja as well as two Swiss knives. While fleeing to Meerut, Major Handa reportedly got his car washed to remove the victim’s bloodstains and also threw away her cellphone. But a forensic team took seven blood samples from the car which matched with Shelja’s blood group. The hair samples found in the car matched too. The dumped cellphone has been recovered.Shelja’s husband was to leave for Uganda on a UN peace mission in two months and had decided to move her and their six-year-old son to Amritsar, Shelja’s native town.“Just 10 days ago, we were celebrating her return to the city as her husband moved their belongings to the cantonment area. Now, we are mourning her death,” said Sukaran Kalia, her brother. He and his mother were in Shimla when they were informed of her brutal end.“I got a call from my brother-in-law. He said Shelja had gone missing. The police told him they had found a woman’s body. He identified my sister’s body from a tattoo,” he said. 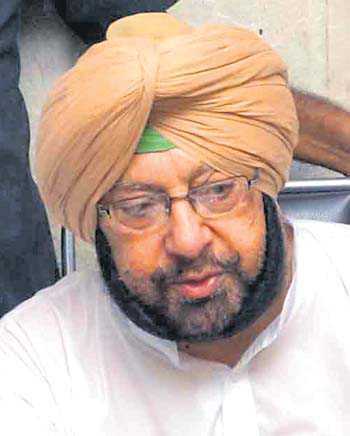 Shelja’s father Subhash Kalia was a local Congress man. He died two years ago.